Years before I had Andrew, I was a teacher. I taught kindergarten for 4 years and loved it! I loved it because of the emphasis on play and discovery when given common household items, such as buttons. 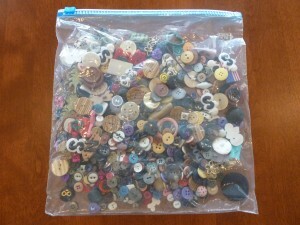 One year I requested that families send in any unused buttons that they may have lying around their drawers or sewing kits. I filled half of a shoebox with a marvelous collection of buttons. 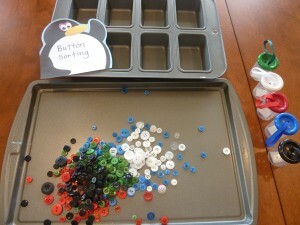 The children would have a ball playing with and sorting the buttons. 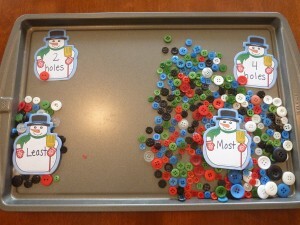 They were encouraged to find new and unique categories for a button sort. 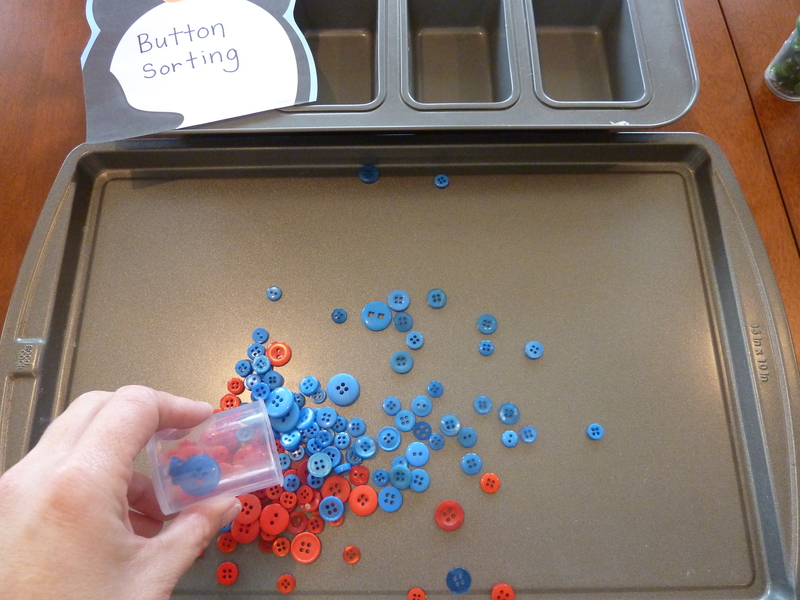 An activity like this helps with visual discrimination and also basic problem solving, being able to group like items in a logical manner. 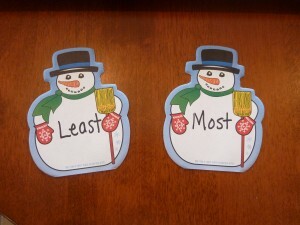 My students always had so much fun doing this! 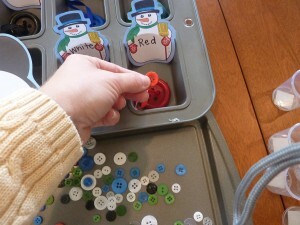 Now this might just be me, but when I was a child, I loved playing in button boxes. I recall mine being stored in an old cigar box and remember quite clearly how it was kind of a treasure hunt each time the box was opened. 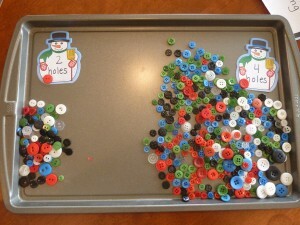 I would sort them by color, shape, size and the number of holes they had. I have my own collection of buttons now to use in the same way with Andrew and you may have your own that you can use with your child. 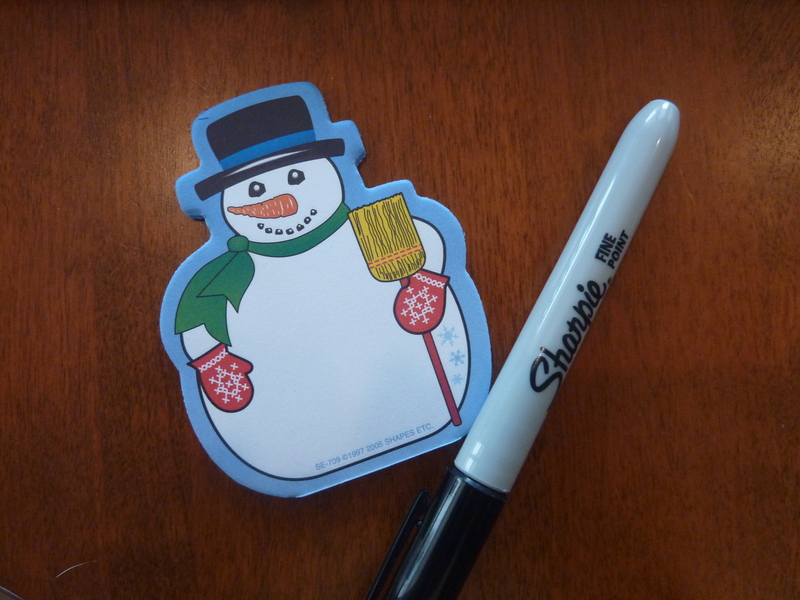 Write those categories on a piece of paper or on an index card, providing a picture clue as well (nothing fancy, anyone who has seen me draw knows I am an expert at stick figures!). 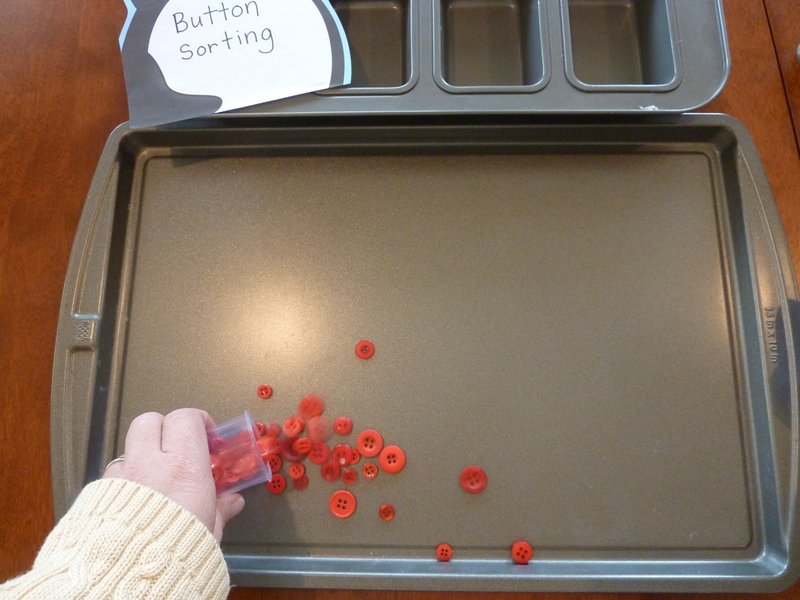 This not only helps them to know how to sort, but also shows them what the category word looks like. 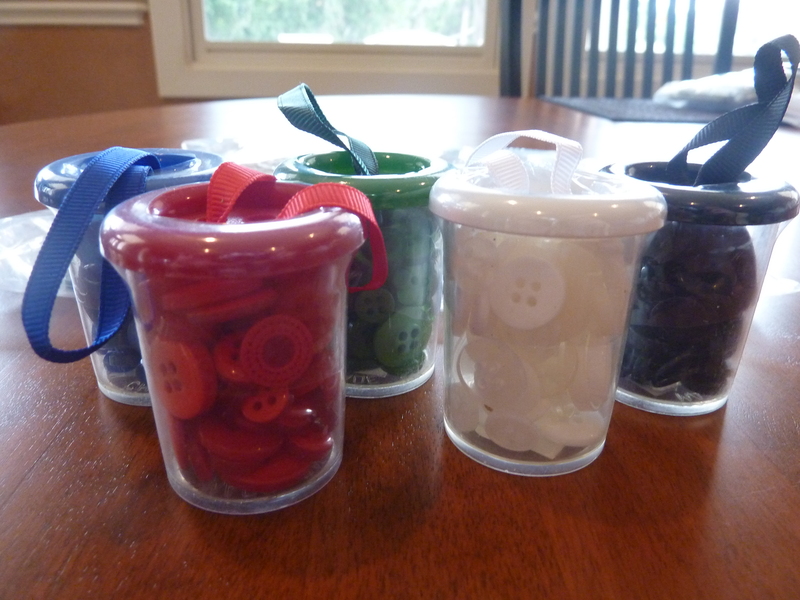 Provide a specific place for them to place the buttons- muffin liners and the cups from Easter Egg dying kits work great! This only takes a few minutes and you have a station ready for them to get sorting! I was at Michael’s the other day and in the $1 section I came across these cute containers of buttons. 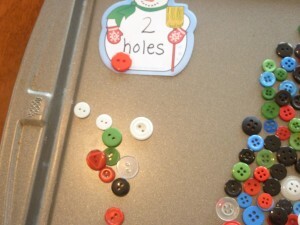 Each one held buttons of a certain color and when I looked closely, there were a variety of sizes, they had different styles and had either 2 or 4 holes. 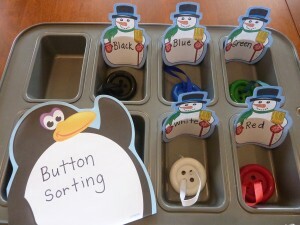 They came in red, black, blue, white and green and I thought they would be perfect for an Obstacle Course sorting station! 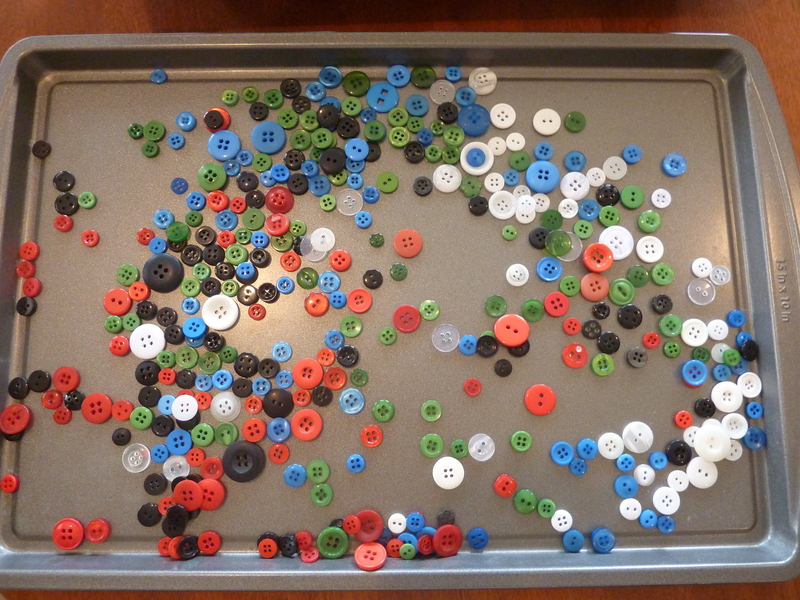 Pouring the buttons onto a rimmed cookie sheet so they can be sorted while also stay contained. All of the button containers emptied onto the tray. Mix the buttons well and then they are ready for sorting. Just choose how you want your child to sort them- color, size, number of holes? Using a small loaf pan to sort buttons by color. Paper cups or styrofoam bowls work just as well if not better because you can write the color directly on them! 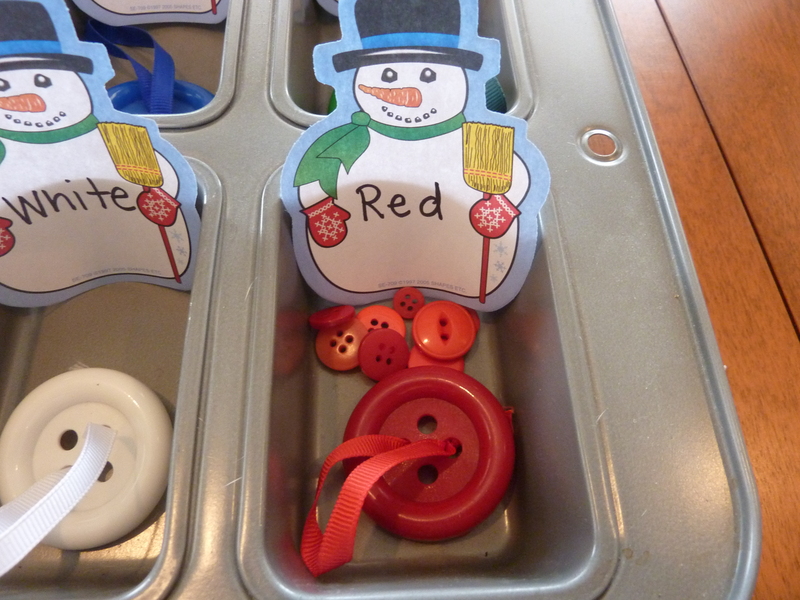 I also used the container lids as a visual cue as to go along with the color word. A cute, small pad of paper and a pen are all you need to add some literacy to this activity. Your child can go through the buttons, sorting them one color at a time (like Andrew would) or each button as it is picked up. Using the cookie tray to sort buttons by number of holes, 2 or 4. 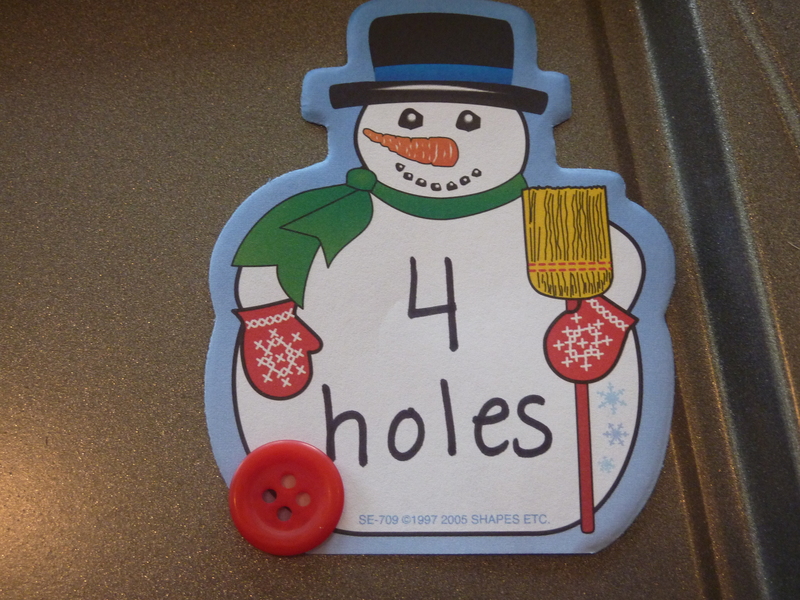 I used the snowman pad of paper to make an easy label for how to sort. 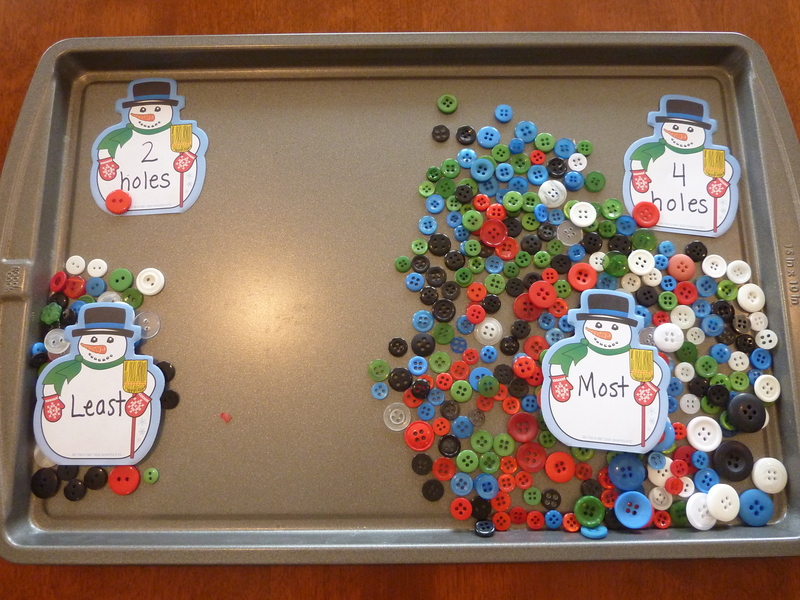 All buttons sorted by number of holes. 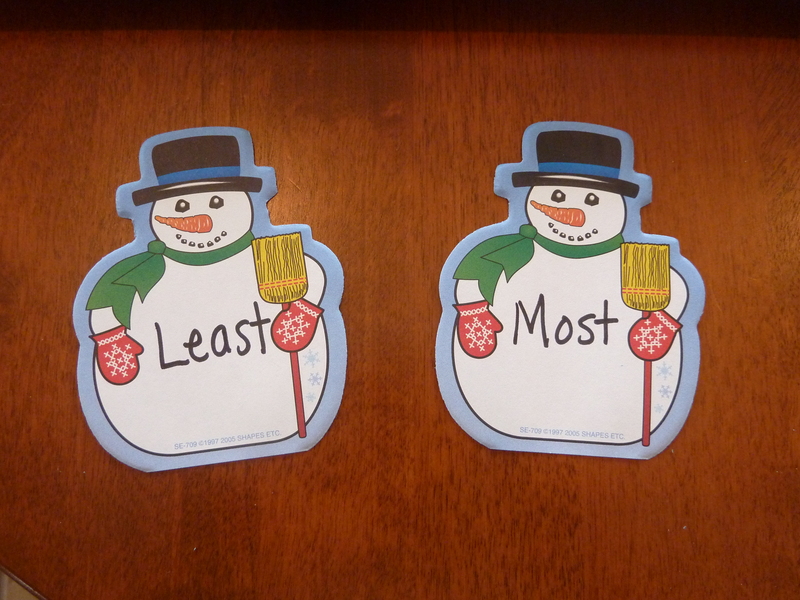 Use the pad of paper to incorporate math vocabulary "most" and "least"
Have your child place the "most" and "least" labels on the correct pile. 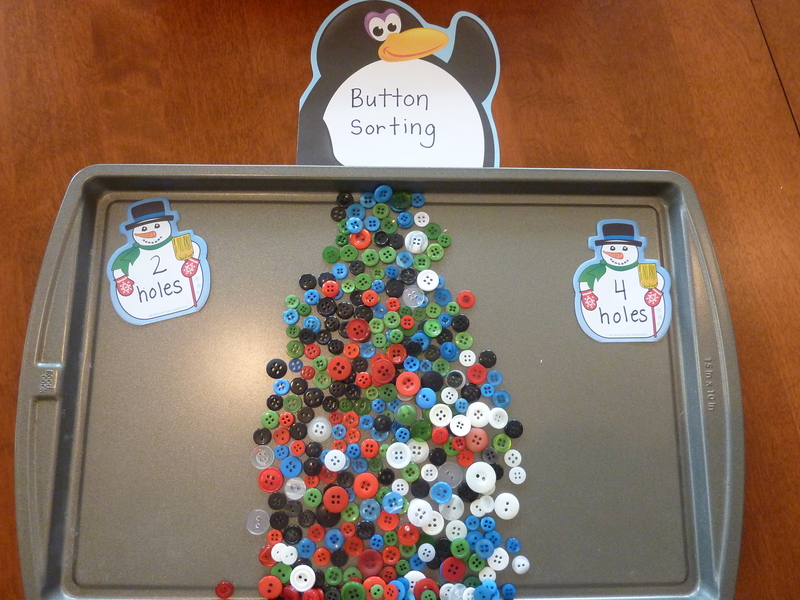 After the buttons are sorted you could have your child count them, one by one if that is what they are able to do, or by groups of 2, 5 or 10 to work on skip counting.